With doctors accessible online through a mobile app and in-person at their clinics, Carbon Health is taking a fresh take on healthcare. 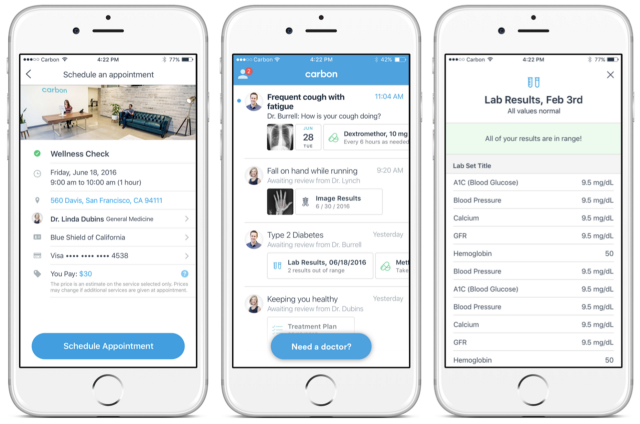 Thanks to integration with pharmacies, labs, insurance providers and specialists, Carbon Health allows patients to chat with doctors, follow-up on treatment plans and prescriptions, schedule appointments, make payments, see their medical records and much more (like prescriptions delivering to your door), all through one app. No paperwork, no hassle. You can sign-up in minutes — all you need is an insurance card — on the app and get instant scheduling & payment. No more paper bills. Carbon Health is simple and delivers a seamless and comprehensive healthcare experience, in and out of the doctor’s office. From a doctor perspective, the app powers the technology to run a modern healthcare practice, removing the burden of administration, such as insurance reimbursement, payment collection, and patient acquisition, reducing overhead overall for the private practice. While Eren was working on Carbon Health admin interface, he started to look online for a universal admin interface tool, for him to not spend too much time developing it. Expectations were high because he knew from his previous experience how important an admin interface is for any company which want to grow fast. A Google search later, he was setting-up Forest. From this moment, he and his team were using our solution on a daily basis. From being sick 🤕🤒 to getting well 😎, Carbon Health is by your side at each step of this unpleasant journey as shown below. Thanks to their mobile app and Forest admin interface, they can respond and assist every patient fast. One of the amazing pros of the concept (and there are many), you can ask for prescriptions’ delivery to your door. Indeed, your ePrescription is automatically send to the closest pharmacy (depending on the address you add to your profile), prepared and then, send to your place in no time. Emily McGovern, Practices manager, uses Forest to set-up each new practices to Carbon Health database. 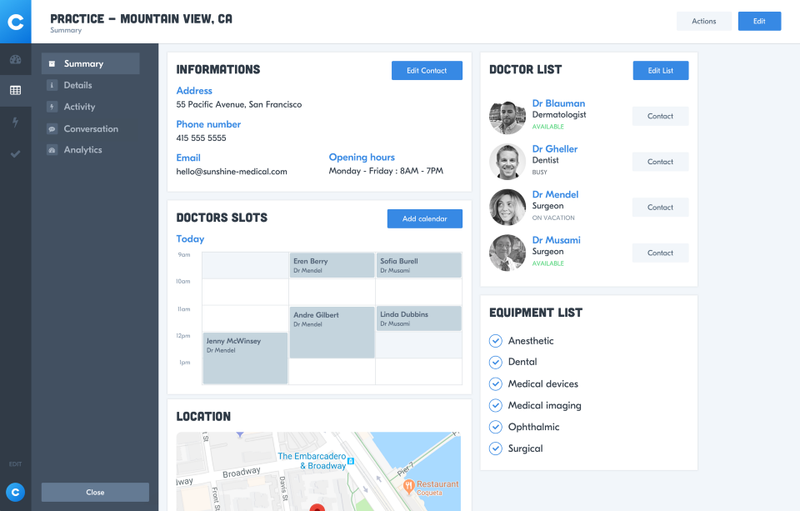 Via a summary view, she can easily add contact information (practice name, address, telephone numbers, …), select the practice equipment via pre-defined lists, and also associate staff members and doctors’ list to the practice. No need to switch from several web pages, she only uses one. 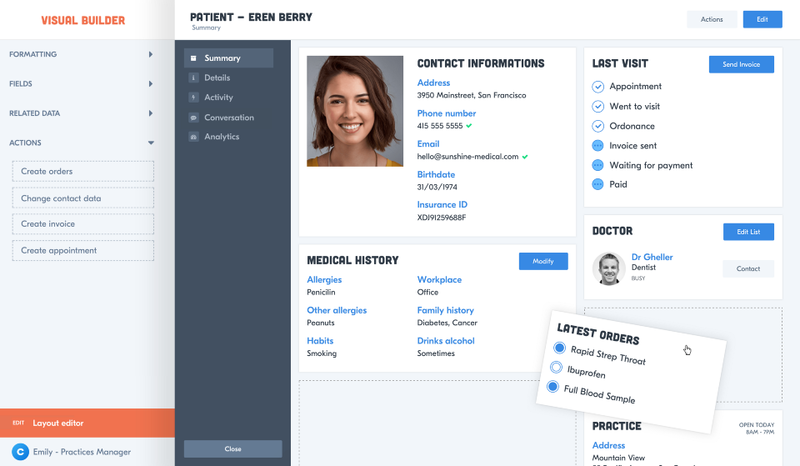 Through the same UX friendly interface, she also helps doctors to onboardby adding contact information, specialties, appointment slots, … All these information will be directly implemented in the database and accessible at anytime when needed. Thanks to Forest’s Layout Editor and Drag&Drop features, she is able to organize the summary view the way she wants. No need for her to ask for a tech team intervention. 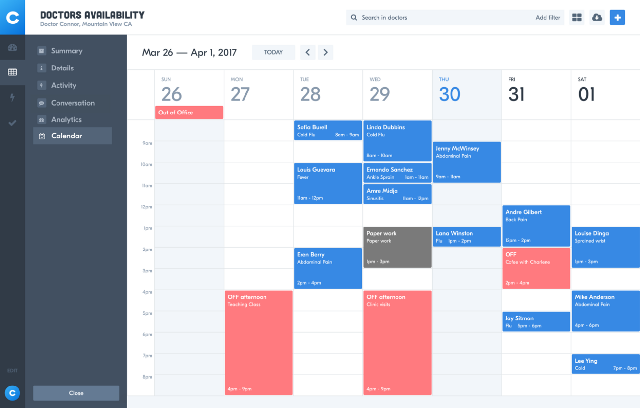 Managing doctors availabilities is a no brainer thanks to Forest interface, and its calendar view feature. Emily is also using Forest to help the customer support team managing patients information, like passwords resets, phone number modification or appointment cancelation when needed. All these actions are technically defined (we called them Smart Actions at Forest) and easily accessible via a dedicated button. In a single clic, she can activate process or access&modify patient informations, Carbon Health prefer to secure. Greg, Director of Medicine, & Eugene, Product manager, can count on Forest interface to add and modify medical content (e.g. symptoms, illness & infection types, …) which is displayed in several forms on the app. Carbon Health is taking good care of all its patient’s data (obvious for a healthcare company 😄), the reason why they are HIPAA compliant. 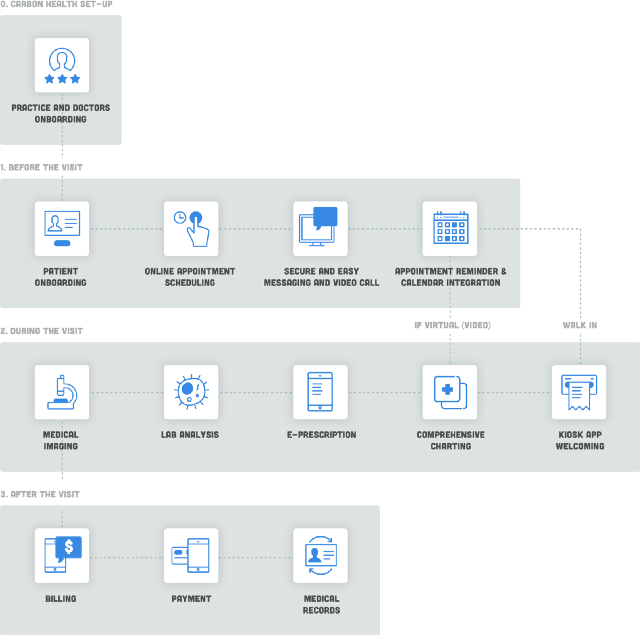 While Forest and its API infrastructure is designed not to access customers’ data, data privacy potential problems have never been a concern. To conclude, Forest saved a considerable amount of time to the Tech team (they were able to allocate their energy on the product ) and help the Business one get enough autonomy to grow and support Carbon Health eco-system fast since day one. To know more about Forest, join our newsletter or visit our website to request a demo for a live presentation 🌲 You can also follow us on Twitter, Facebook, LinkedIn and Github 😍 to never miss a news from us!